With the New Year just around the corner, we want to take this opportunity to thank you for supporting our work throughout the year and for your ongoing commitment to peace and justice in Guatemala. While the weather starts to get cold outside, thinking about you all and our collective work together warms our hearts. We wish you a fun and festive holiday season filled with love and joy. In this email, you'll find holiday gift ideas, an urgent action regarding the political and human rights crisis in Honduras, updates on community resistance to Canadian Tahoe Resources' Escobal mine, and more! BTS coffee mugs from handmade Danish enamelware are on sale for $20. Get yours by emailing Kathryn at KathrynAnde@gmail.com. Paired with â€¨a bag of BTS coffee, this is a tasty and beautiful gift for the coffee lover in your life. Also, visit us every Saturday at the Forum Farmers Market, corner of Windsor and Almon Streets in Halifax to get your coffee fix (12oz & 2lb bags,â€¨ whole bean & fresh ground available). More of your money goes to the work of Maritimes and Guatemalan social justice activists and coffee farmers when you buy direct! Write to Minister of Foreign Affairs Chrystia Freeland to share your deep concern over the political and human rights crisis currently unfolding in Honduras following national elections on November 26th. Participate in the urgent online action here. On Sunday, incumbent Juan Orlando Hernandez was named president and the results continue to be contested by Honduran people, despite ongoing repression. 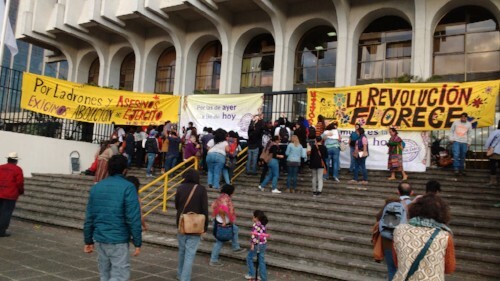 For more updates, check out this blog by Karen Spring of the Honduras Solidarity Network. This online action is supported by Atlantic Region Solidarity Network, BTS, Common Frontiers, the Committee for Human Rights in Latin America, CoDevelopment Canada and Mining Watch Canada. This holiday season, communities affected by Tahoe Resourcesâ€™ Escobal Mine will be sleeping outside, weathering the cold at two resistance camps. The first, in the community of Casillas, has been active since June. Seven communities take 24-hour shifts, and stop any mine related traffic, while regular traffic flows as usual. 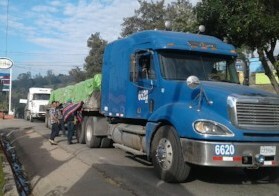 The resistance in Casillas has effectively stopped operations at the mine for the past seven months through direct action. Riot police attempted to evict the encampment in late June. Join a two-week delegation from May 5-19, 2018, led by Breaking the Silence Coordinators and Guatemalan partners, grassroots organizers and Indigenous Maya and Xinca communities working for social change and justice. Cost: $2300, including international airfare and in-country expenses. Some bursaries available. For information and details, visit us here. 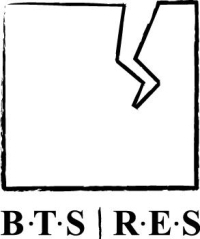 BTS encourages people from diverse race, gender, ethnic group, age, personality, cognitive style, abilities, education, and backgrounds to apply. 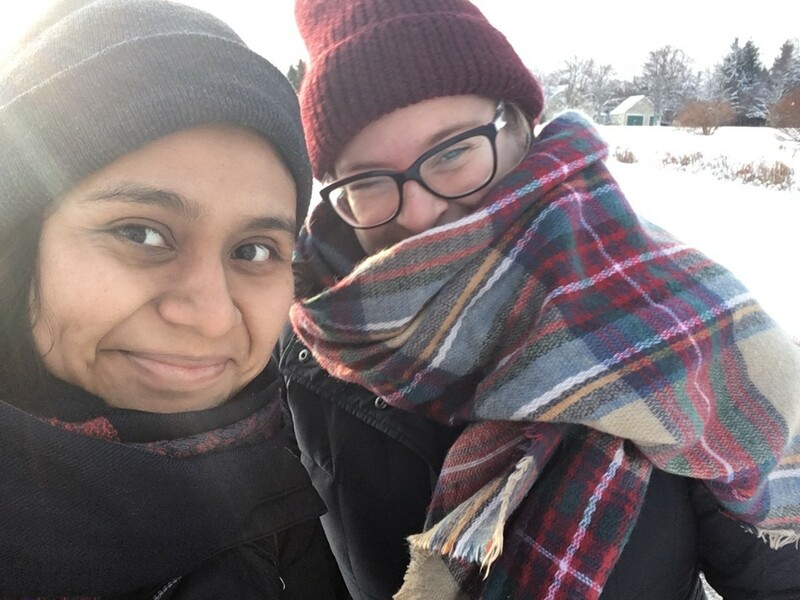 BTS delegations are a meaningful way to connect struggles for justice and social transformation in Canada and Guatemala. Join us! After a ten year long wait, the women of Lote 8 finally had the opportunity to give their testimony against Hudbay Minerals. The 11 women travelled to Canada in November to tell their story; they were gang raped during a violent eviction by Guatemalan national police and Hudbay mine security in 2007 and are bringing a lawsuit against the company in an Ontario court. 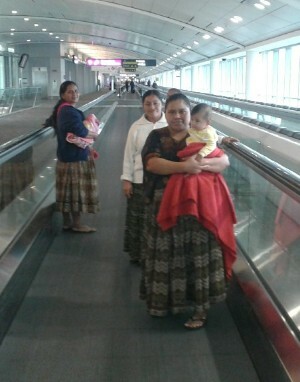 The women travelled to Toronto in groups of 3 to 4, along with accompaniers who supported and translated during the trip. We invite you to join us for a call on Thursday, January 4th @ 7pm (AST) to hear more updates from the Open for Justice campaign and to strategize with us about next steps. Please write to Stacey (BTSMaritimesCoordinator@gmail.com) if you'd like to attend, to receive call in details. From December 4-6, Guatemala Coordinator Lisa Rankin attended a workshop in Washington, D.C. on a new advocacy tool, InformAccion, focused on corporate social research to support community advocacy. The goal of the tool is to map out Canadian and US companies, gathering information which is sometimes hard to find or unclear, to gain a better understanding of how the company functions and what some of its pressure points might be. While one part of this mapping would normally be done by looking at the companyâ€™s often very confusing corporate filings, another section is based primarily on local knowledge about the company, and how they operate in the community. There is potential use for the tool in the advocacy work of BTS in terms of mapping Canadian companies in Guatemala and their subsidiaries, where they are obtaining the financing for their projects and the main threats to communities. There are many resources available and an important role for volunteers, shifting through documents to put this map together. We are sad to share the news that BTS has once again been denied funding for internships through Global Affairs Canada. BTS had applied through a consortium with other organizations through the Atlantic Council for International Cooperation (ACIC) who has told us that their application for the program was not accepted. BTS staff participated on a follow-up call with ACIC who remarked that of 52 applications, only 12 were selected, reflecting how popular and competitive the program is. In addition, only one East Coast applicant was chosen, and no one from the Maritimes. In the new year, BTS will be doing follow-up work on this news, including writing a letter of concern to Global Affairs Canada. If you are interested in participating in this follow-up, please contact Stacey at BTSMaritimesCoordinator@gmail.com. Notes on the follow-up call with ACIC will be shared when made available. 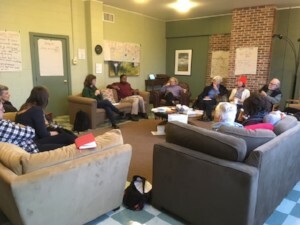 From December 9-10th, BTS members came together at Tatamagouche for a Diversity and Inclusion Workshop aimed at building a shared understanding of how these two aspects would be considered in our work as a network. The discussions highlighted a few key areas to focus on in order to strengthen our work, including: clarifying BTS' structure and decision making process; developing more solidarity relationships with individuals and organizations from diverse groups; understanding barriers to participation of marginalized communities in our work; and increasing energy and engagement with local committees. We'll be sharing a more detailed report-back in the new year! If you'd like to share about your experiences in BTS with regards to the themes of diversity and inclusion, please write to Stacey at BTSMaritimesCoordinator@gmail.com. Thanks for the Holiday Fundraising Efforts! 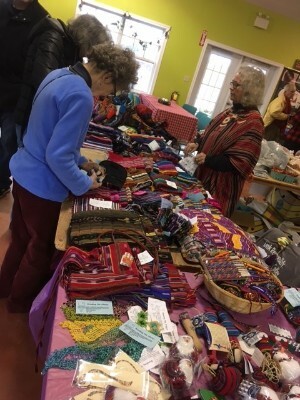 We thank all the BTSers who have been selling Guatemalan crafts and coffee to raise funds for the network's General Fund, including the Halifax, Antigonish, and North Shore Committees. Thanks so much for your dedication! BTS-Antigonish Committee at Farmers Market on December 16th, 2017. 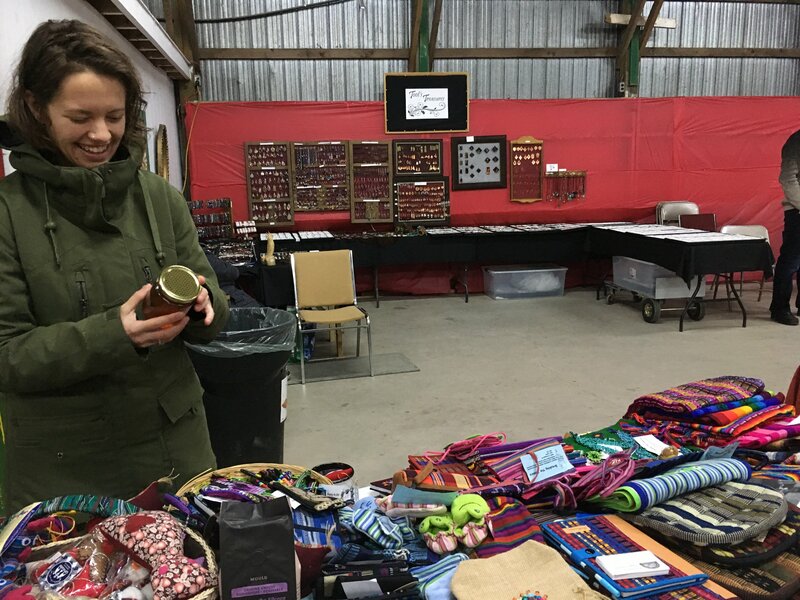 BTS-North Shore Committee at Tatamagouche Market on December 9th, 2017. Write to Stacey (BTSMaritimesCoordinator@gmail.com) for call-in details.